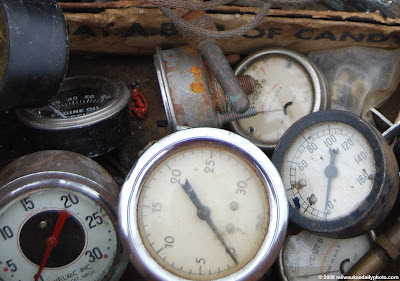 Over the summer, I was at the Miller Meet at the Milwaukee Mile, and could not resist this box of gauges for sale. Reminds me I should get the cars in for service before the snow hits. These are cool. Are you a hot rodder? What an interesting choice of subject manner! Love it!